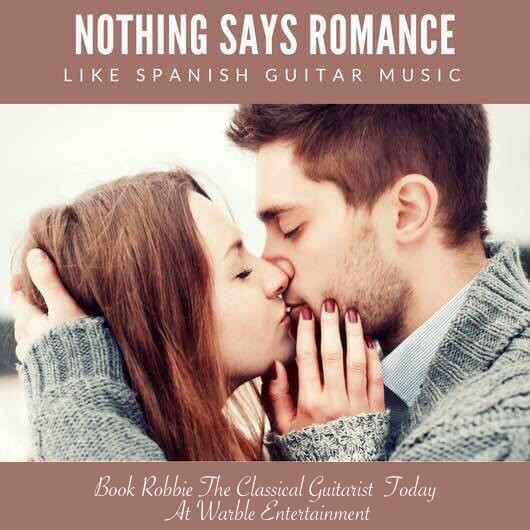 Robbie is a brilliant young Romantic Classical Spanish Guitarist. He is also a seasoned performer with hundreds of hours of professional playing to his name, all over the UK. Previous clients include the BBC, Arts Council England, Rock FM, Lancashire County Council and 5-star hotels. 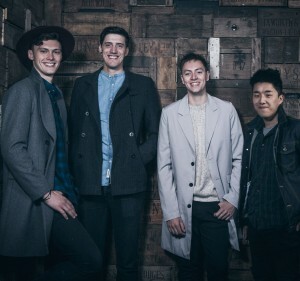 Available for corporate functions, restaurants, anniversaries, parties & weddings. 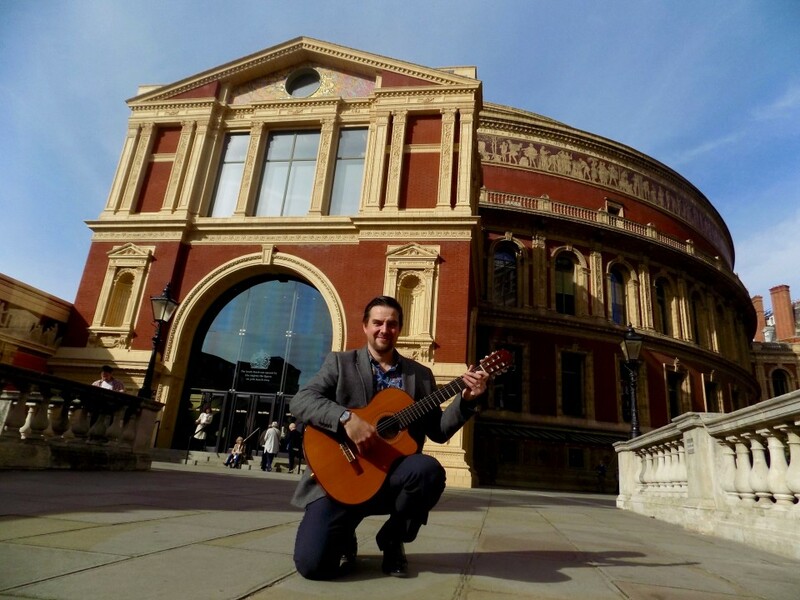 In 2017, Robbie has played at Royal Albert Hall London, Lunchtime season, and the International Spanish Festival. 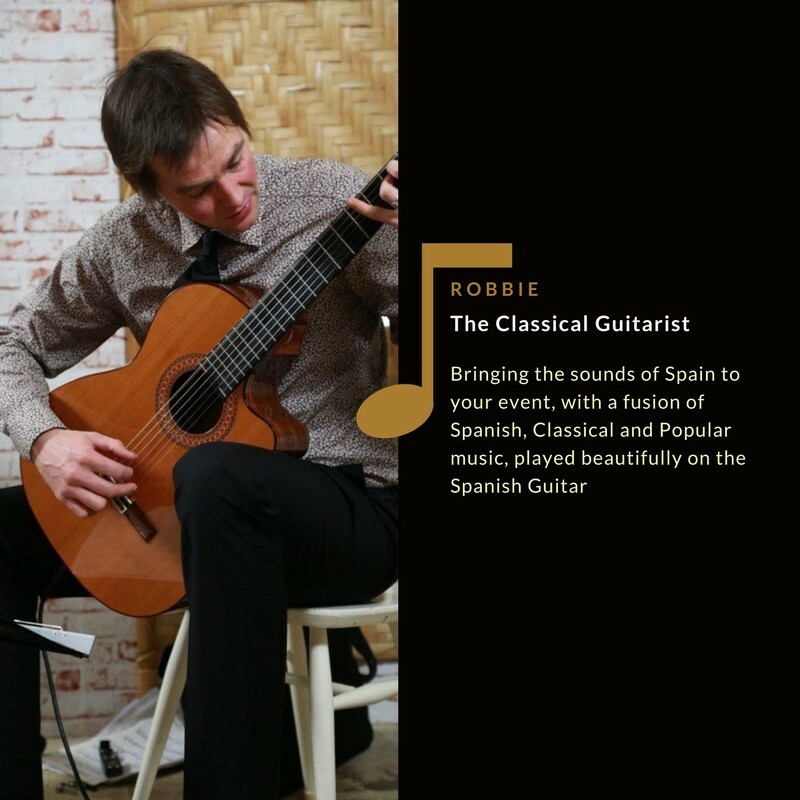 Robbie can bring any event to life with his unique blend of Spanish classics through to modern popular songs. His style is unobtrusive, yet exceptionally atmospheric. 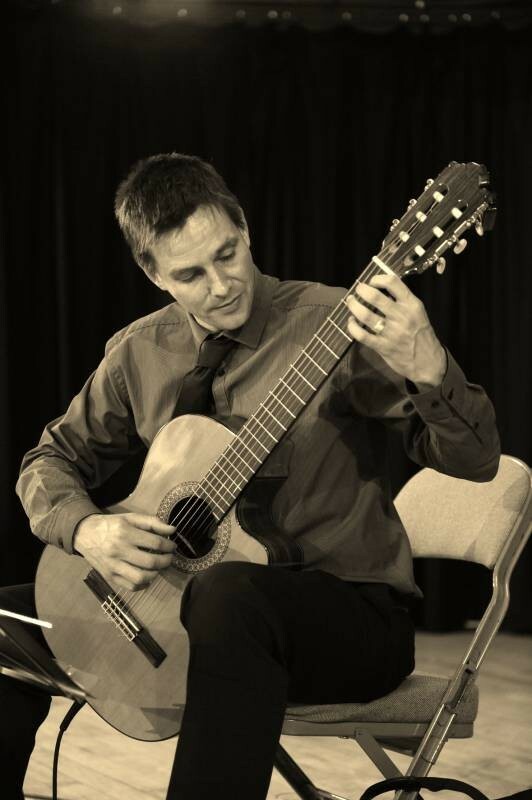 Robbie's set up is completely hassle free - just one man and his guitar, who can be accommodated easily in any venue. 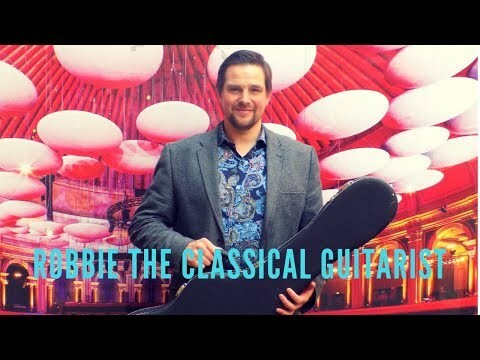 Robbie has played in many settings including stately homes for Lords & Ladies, birthday gatherings, libraries, garden parties, high-teas, restaurants, cocktail parties, hotels and art galleries. 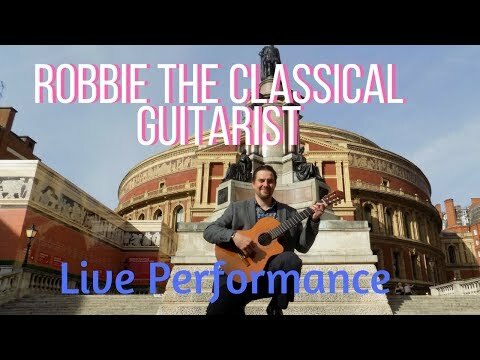 Robbie has a wide repertoire ranging from classics such as Cavatina – The Deer Hunter, Memories of theAlhambra, Romanza and Bach's Prelude, through to arrangements of popular music such as Fields of Gold, Here There and Everywhere, Love Story and Kiss from a Rose. 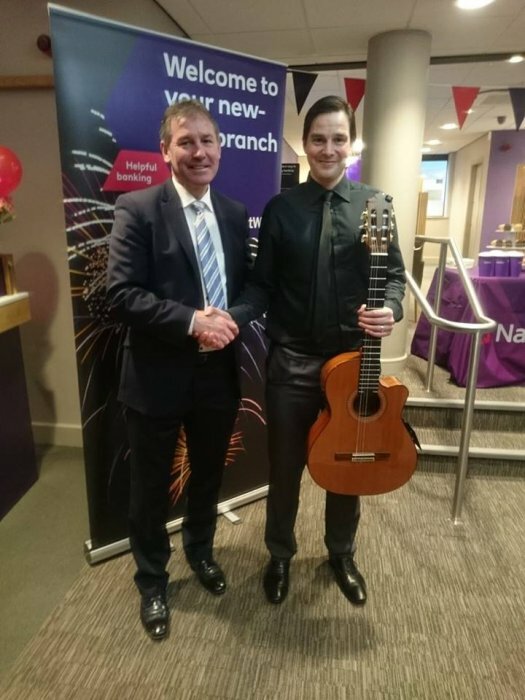 He is a member of the Musicians Union, fully covered by public liability insurance and his musical equipment is PAT tested for professional performances. 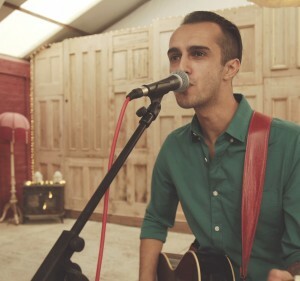 Robbie is a gifted musician his music helped us to create a warm and gently uplifting ambience at my Dad's funeral reception. 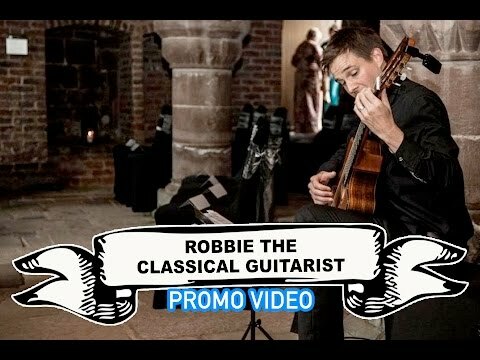 He provided just what we were looking for, I would definitely book Robbie the Classical Guitarist again. 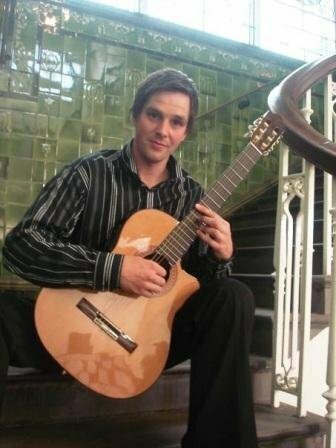 Very talented Musician. Played a wonderful, perfectly gauged repertoire at our wedding. Understood exactly the vibe we were looking for and delivered to a high standard all round. Highly recommend. He was a charming young man who was extremely anxious to please. 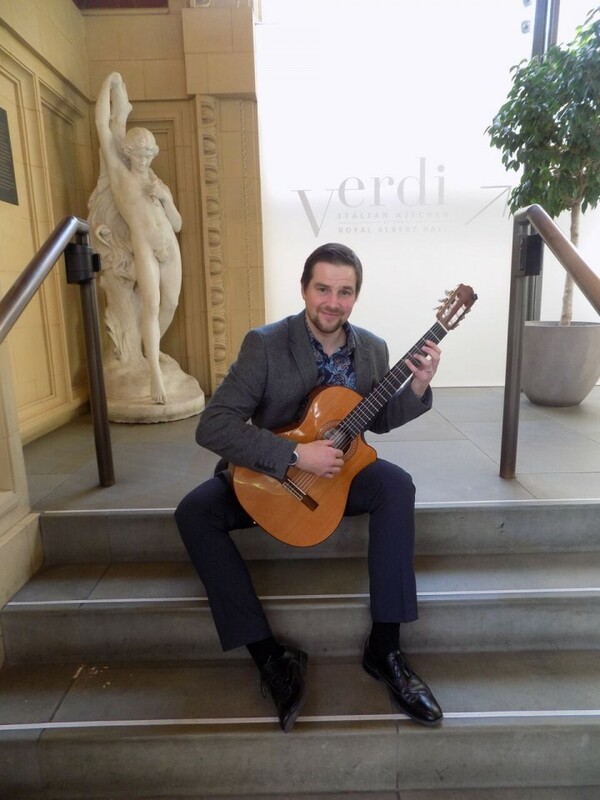 I have had very positive feedback from my guests who enjoyed his accomplished playing, and also chatting to him in his (to our Yorkshire ears) 'foreign' Lancashire accent. 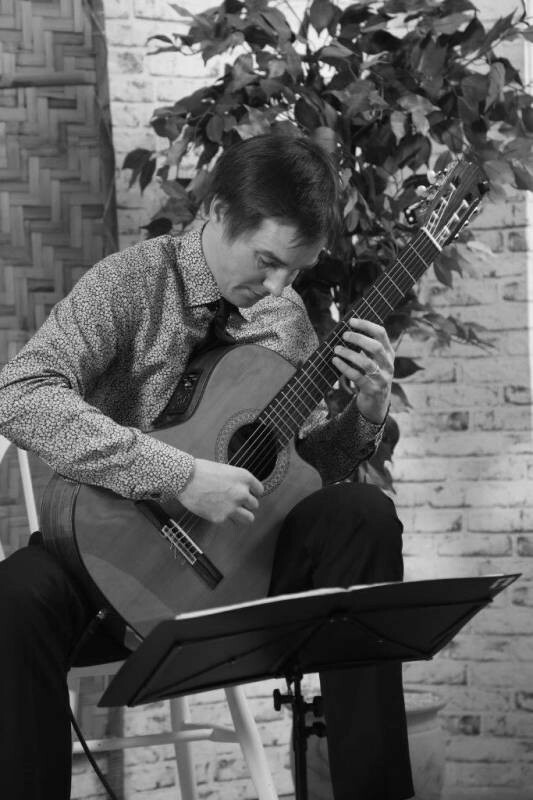 He certainly made my party one to remember and I would recommend him as a wonderful musician for any occasion. Thanks for all your help. Excellent. 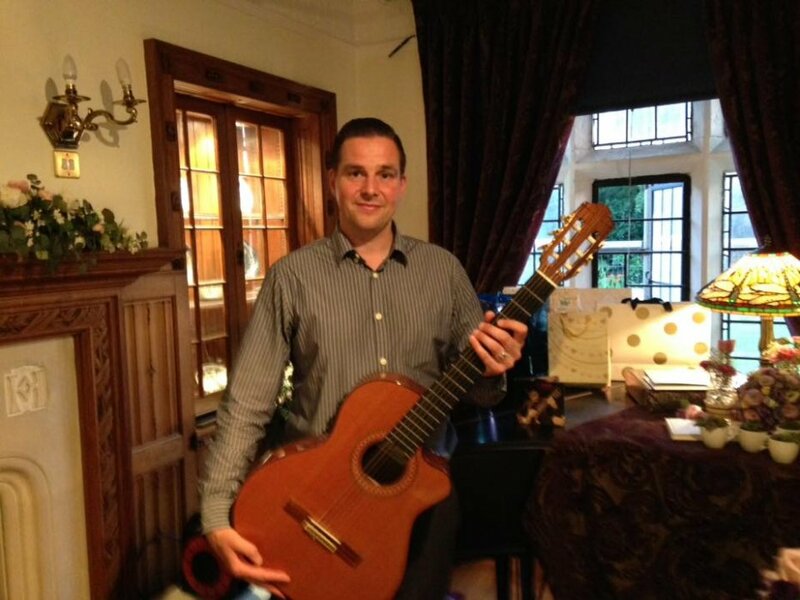 A lovely chap and exceeded expectations - would not hesitate to book him again. We thoroughly enjoyed his music. Thank you. 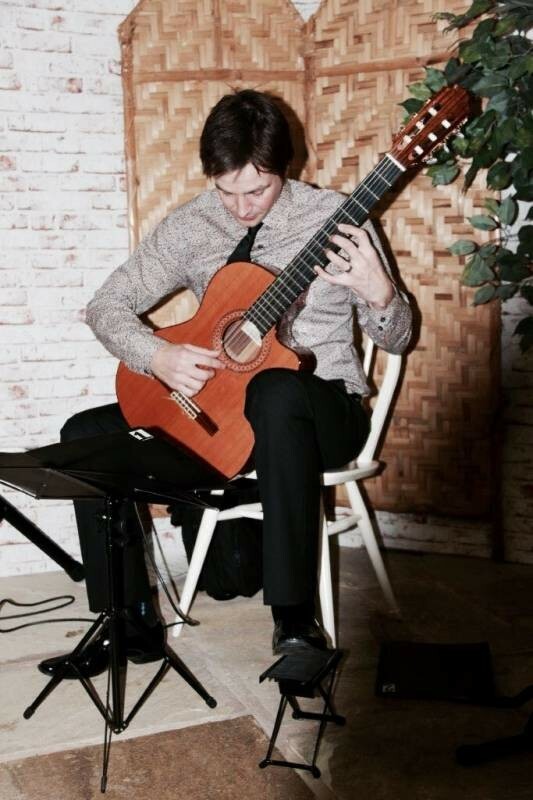 Robbie's beautiful classical guitar performance was the perfect accompaniment to our wedding drinks reception. 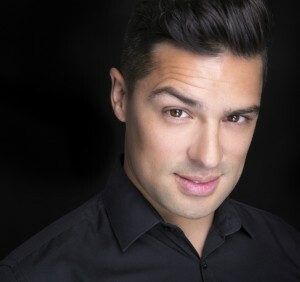 Robbie is extremely friendly and pleasant and we wouldn't hesitate to recommend him. What a brilliant performance with a personality to match. We can't recommend Robbie more highly. 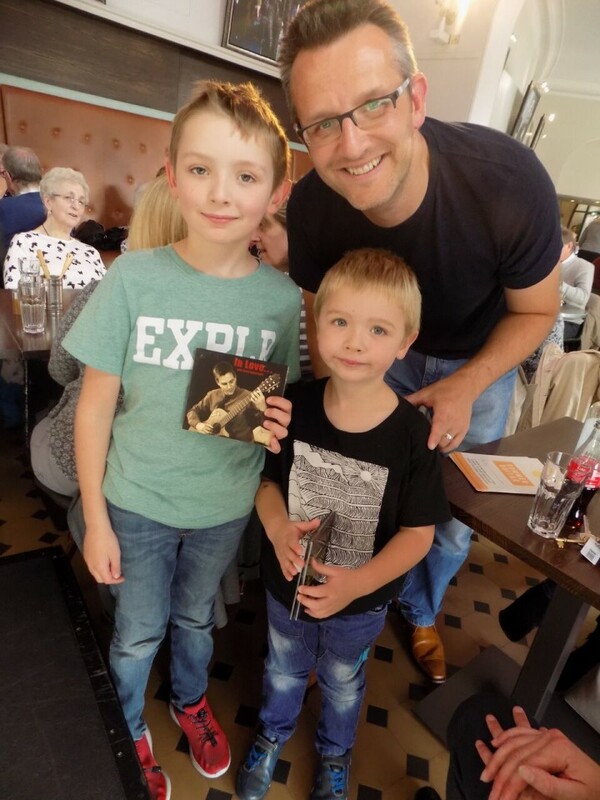 We were so pleased with his performances and he was a pleasure to meet and work with. 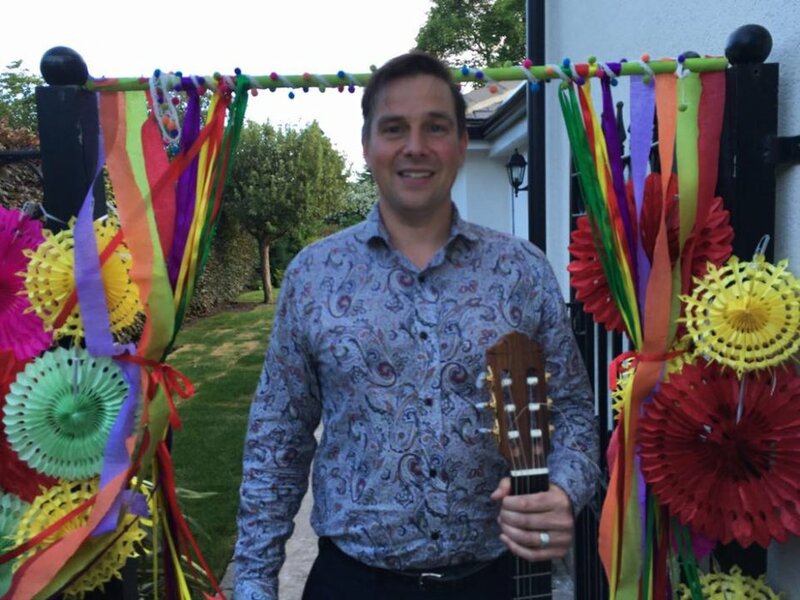 Robbie had a really professional and friendly relaxed approach from start to finish and his music added the perfect tone to our day. Not surprisingly, many guests mentioned throughout the day (and since) how accomplished Robbie is, and we will definitely be looking him up in the future. Thanks for everything! 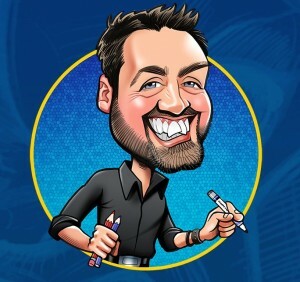 Fantastic artist - Robbie was very accommodating and professional and everyone loved him. Thank You. 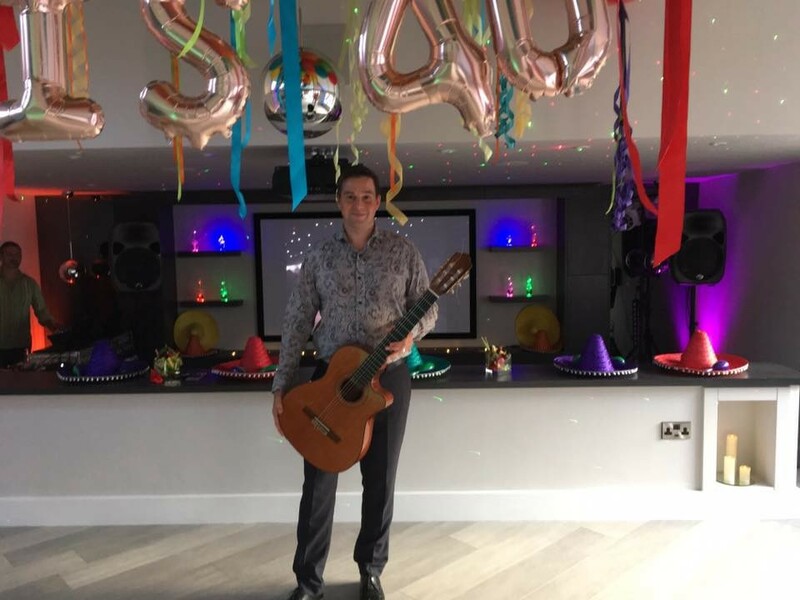 Robbie was excellent, his performance was great and got great reviews from our guests at the wedding, especially from a number of guitar players who were present. Robbie needed no management on the day and slotted in really well. I would certainly recommend Robbie. 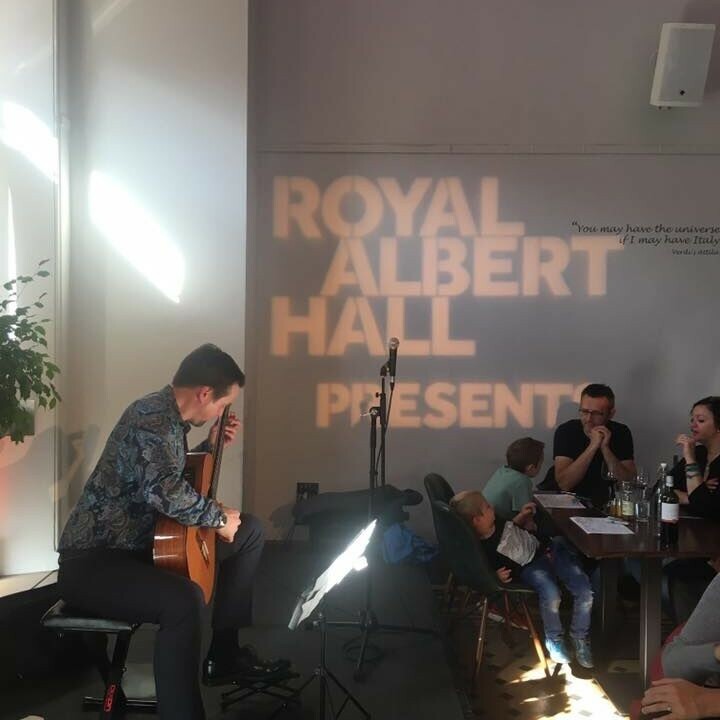 Robbie The Classical Guitarist was fantastic - just right for this event and a really lovely guy too. I would totally recommend him for future events of this nature. 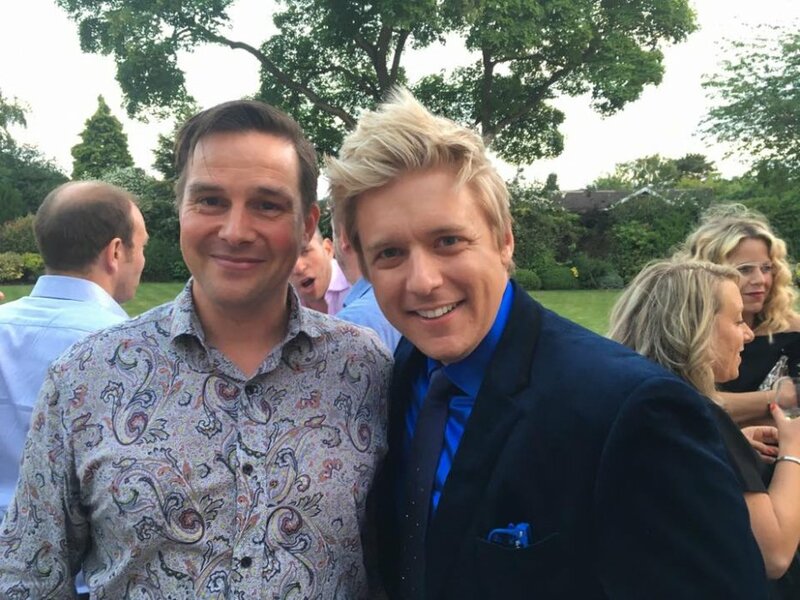 Robbie was absolutely fantastic and I would highly recommend him at any event. He played during the champagne reception and as we sat down to dinner and it just worked so well. I have had several comments in thank you cards of just how good he is. He is such a lovely gentleman too, I cannot commend him enough. Thank you to Warble also for being so professional and this great find! A very smart, personable young man,who turned up on time and everybody commented on what an excellent player he was. 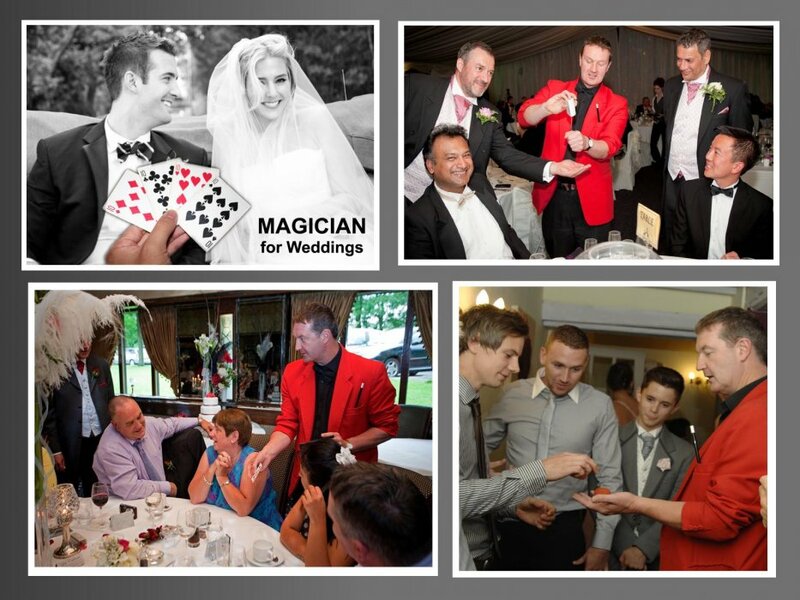 I would not hesitate to recommend him, he really added atmosphere to our party. Haworth Art Gallery, "Tea at Tiffany event"
I usually play 2 x 45 minute sets. This is of course, flexible. I like to be at the venue half an hour before for set-up. A standard plug socket. I have my own stool and amplification. 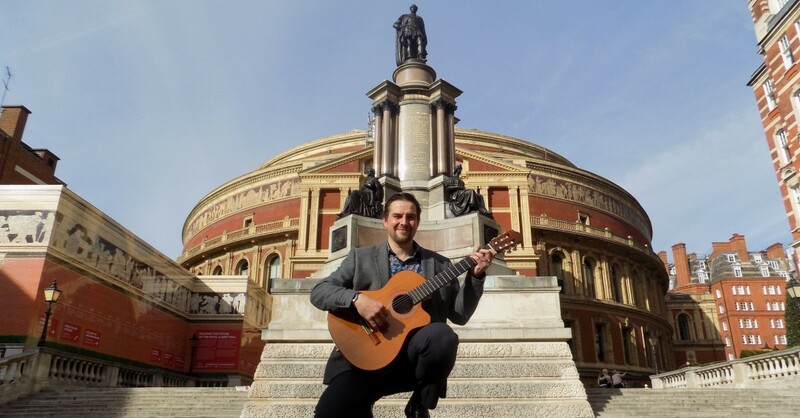 Customers who have enquired for Robbie The Classical Guitarist have also been interested in the following Classical Guitarists for Hire in Lancashire and the North West. For more information or further options, please call 0845 643 9384.